The National Weather Service has issued a freeze warning for Brooklyn and other boroughs of New York City (except Staten Island) starting 10 p.m. Monday night through 7 a.m. Tuesday morning. If you have plants outside or on your balcony, bring them in. Tuesday's high will be 47. - To acquire a condo unit inside the proposed hi-rise for a smaller but more modern replacement library. The rest of the City Council will presumably vote how Heights' Councilmember Stephen Levin votes. While the Brooklyn Heights Association rolled over on this one, a number of very vocal residents will skin Levin alive if he votes for the project as is. It will be interesting to see what concessions he can squeeze from the developer, if any, to justify making the project (which has been compared to "giving the finger to Brooklyn Heights") palatable. Interestingly, Borough President Eric Adams disapproved the project, with conditions, which raised his profile with a number of voters who weren't sure if he stood with them on this issue. The project was approved by the City Planning Commission. Citizens Defending Libraries and union groups are expected to make a strong showing in Council chambers. 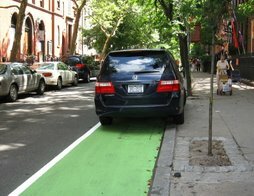 The Cobble Hill Association will hold its Fall General Meeting Wed., November 18th at 7:00 pm, at P.S. 29 at 425 Henry Street between Baltic and Kane Streets. The topic will be LICH "misinformation" being put out by developers. This will be a very important meeting of the Cobble Hill Association as the community provides feedback on the development proposals for the Long Island College Hospital site. Incomplete and misleading information is being disseminated in our neighborhood by paid canvassers. - The rezoning plan is substantially larger than the As of Right plan. 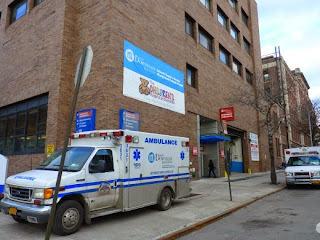 - The NYU-Langone medical facility will be built by NYU regardless of which development path Fortis chooses. Continuous medical care on the site was a condition of the sale and is not a voluntary benefit offered by the developer. - The park space proposed in the rezoning is a park “mash-up” of the existing sitting park and an existing playground, plus only 4,286 additional square feet. - The proposed K-5 school has no schoolyard. Make Music Winter returns on Monday December 21. Musicians, singers, and winter revelers are invited to join the party and make music on the longest night of the year. Most events require no musical training, but some open rehearsals start now. - Bell by Bell: Starting at the DUMBO Arch, artist Tom Peyton will distribute seventy color-coded bells to the crowd, one color per note. At the front of the parade, a team of conductors waves corresponding colored flags to lead the group in slowly moving music, written by a variety of composers. When the conductors raise their red and green flags, everyone with red and green bells start ringing, and so on for each color. - RPM / BLINK / Wheels: The ever-popular bicycle bell parade through Prospect Park, which started with BLINK in 2013 and continued with Wheels in 2014, turns into a trilogy with RPM by P. Spadine of Ashcan Orchestra. 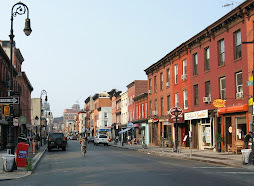 - Flat Foot Flatbush: Dancers, fiddlers, and pickers will parade down Flatbush Ave playing old-time tunes while flat footing, a form of percussive dancing from Appalachia. Led by dancer Megan Downes and the City Stompers, the parade steps off at 5:00 pm in front of the Barclays Center, with stops along the way to play, dance, and sing. Workshop to make your own tap shoes if you don't have any. - La Trullita Navideña, a cultural experience of the Caribbean tradition of parranda. Join in the singing, drumming and celebration throughout Los Sures, the Southside of Williamsburg. Leading up to Make Music Winter, join BombaYo for open rehearsals in November and December, held at El Puente and Williamsburg Library Spaceworks. More on Make Music Winter here. On Monday, President Barack Obama named seventeen recipients of the Presidential Medal of Freedom, our nation’s highest award to civilians. 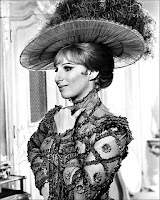 Two of the recipients this year hail from Brooklyn: Shirley Chisholm (now deceased), who made history in 1968 by becoming the first African-American woman elected to Congress; and Barbra Streisand, famed singer, actor, director, producer and songwriter. In a statement on Monday, Brooklyn Borough President Eric Adams said, “The Presidential Medal of Freedom is our nation’s highest civilian honor, and I share the honor that all Brooklynites feel in the news that President Obama has named former Representative Shirley Chisholm and entertainment legend Barbara Streisand, both native daughters of Brooklyn, as two of the latest recipients." The awards will be presented at the White House on November 24th. More on this year's winners here. 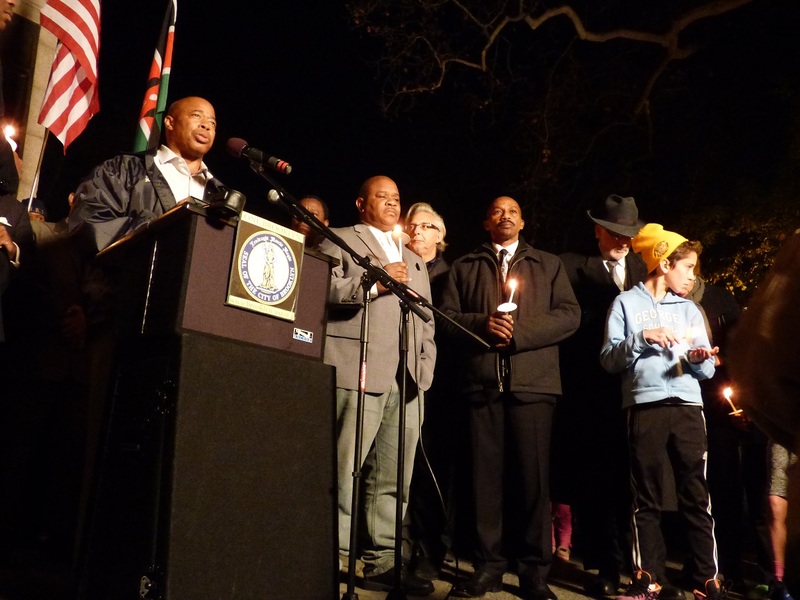 Brooklyn residents, religious leaders and elected officials gathered in Carroll Park Sunday night for a candlelight vigil to honor the victims of terrorism in Paris. 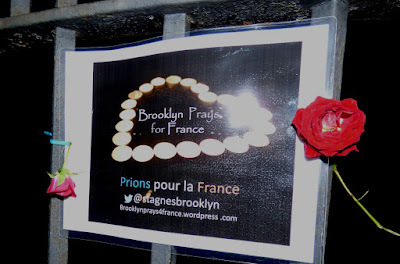 The event was organized by Borough President Eric Adams. Religious leaders prayed in Hebrew, English, Arabic and French. 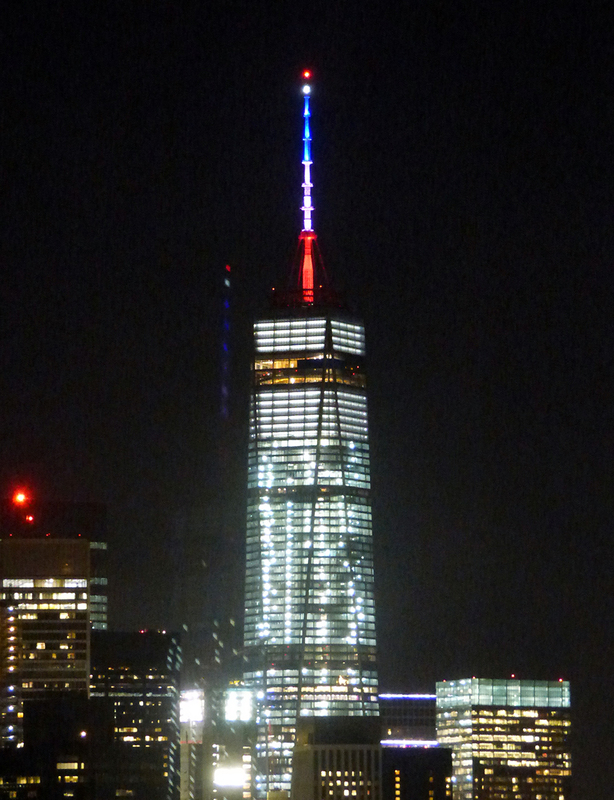 Elected officials spoke of unity in the face of terror, and sent a message to France: "We are with you." A few hundred people walked with candles to St. Agnes Church, where a service was held. Terror victims in Kenya and Lebanon were also remembered, and officials carried their flags along the route, next to the flags of the U.S. and France. 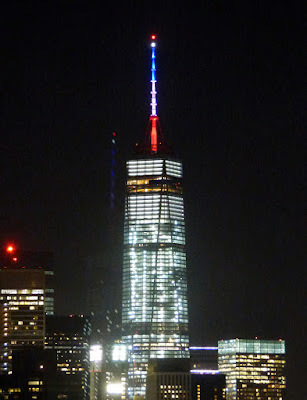 Governor Andrew Cuomo ordered that the lights of One World Trade Center’s 408-foot spire to be lit in blue, white and red Friday night and in the days ahead in solidarity with the people of Paris. “Today’s horrific attacks in Paris have moved us all, and the more we learn, the more our hearts ache,” said Governor Cuomo. “These were cowardly acts of evil by people who have inexplicably chosen to believe in radical hatred above all else. We reject that kind of extremism – choosing instead the bonds of liberty, equality and fraternity that bring us together. The New York State Police, the New York State Intelligence Center and the Division of Homeland Security and Emergency Services are actively monitoring the situation for any implications in New York State and remain in constant communication with their local and federal partners. Have an idea to improve bus service in your neighborhood or want to raise some issues? 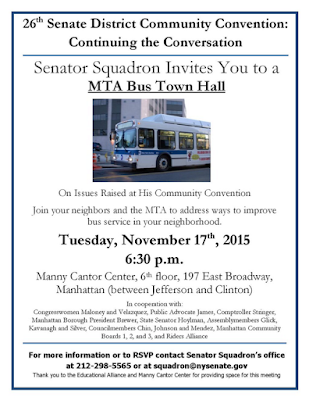 State Sen. Daniel Squadron invites you to an MTA bus service town hall on Tuesday. Nov. 17 at 6:30 p.m.
Squadron represents the 26th Senate District, which includes the Brooklyn neighborhoods of Greenpoint, Williamsburg, Vinegar Hill, DUMBO, Fulton Ferry, Brooklyn Heights, Downtown Brooklyn, Boerum Hill, Cobble Hill, Carroll Gardens, and Columbia Waterfront, and the Manhattan neighborhoods of Tribeca, Battery Park City, the Lower East Side, Chinatown, the Financial District, Little Italy, SoHo, and the East Village. More than 850 Marine Park customers lost power last night, Con Ed reports. The outage map shows that more than 70 buildings were hit. The company expects to fix the problem for many by morning. Check with Con Ed for specifics. 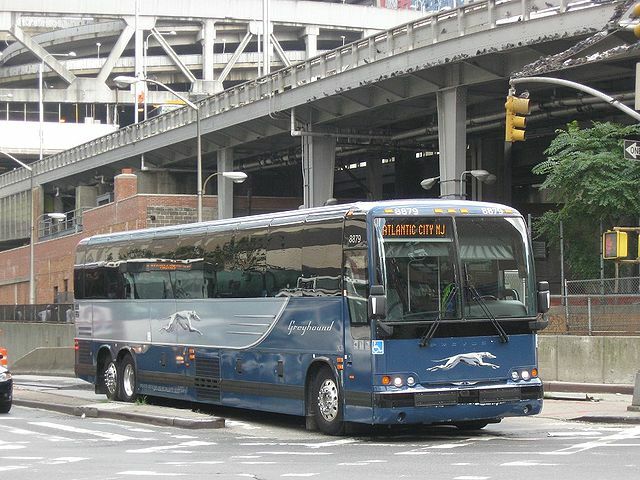 Police arrested a man obsessed with trains and buses in Brooklyn for allegedly stealing a Greyhound bus out of the Port Authority Bus Terminal, NBC reports. 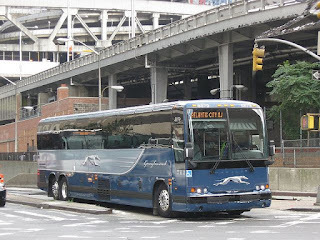 Greyhound was able to track the bus in Brooklyn using GPS. They pulled it over at 3rd Ave. and Union St.
Darius McCollum, 50, who has been a mega-fan of transport since he was a small child, has been arrested 29 times in the past. He has been diagnosed with Asperger Syndrome. According to Wikipedia, McCollum had memorized the entire NYC subway system by the age of 7. He has been rejected for employment by Transit Authority on numerous occasions, although he is reported to know more about the trains, schedules, procedures and rail operations than any current employee, according to Wikipedia. He is known for wearing a mass transit employee uniform and courteously assisting customers and answering questions, or driving trains undetected for days, and has even become a bit of a cult figure. According to PIX11, in 1981 he drove the E train to the World Trade Center at the age of 15. Sadly, McCollum has spent more than a third of his life in prison for his habit of stealing mass transit vehicles. UPDATE: NBC New York's Chopper 4 was hit by a laser while rushing to film McCollum's arrest. Reporters in the chopper tracked the folks with the laser and called police, who apprehended several suspects. Today we say thank you to all veterans who have served America. 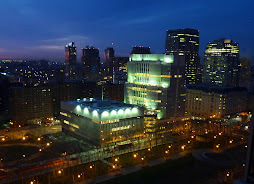 Ratner's 'Site 5' To Be Brooklyn's Time Warner Center? 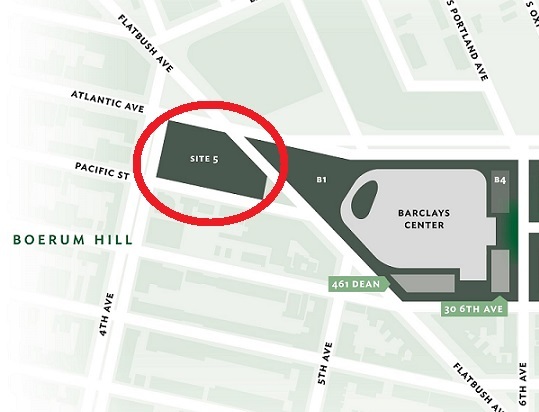 According to Bisnow, Forest City Ratner's EVP Kathryn Welch says FCR is getting ready to break ground on its "Site 5" project in Downtown Brooklyn. Site 5 is currently the home of Modell's and P.C. Richard. The plans call for 1.6M square feet of office and retail space. Welch said the goal will be "to bring in high-end retail like Brooklyn's never seen—something like the Time Warner Center." "If that report is correct--and we don't know that it is--that would shift the entire square footage once planned for B1 to Site 5, making an enormous--and to my eyeball, unrealistic--building. 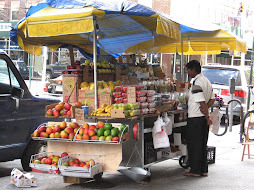 (The City Point project in Downtown Brooklyn near Junior's is 1.9 million square feet.)" Friends of Rockaway, a non-profit, is taking volunteers in groups to do actual re-building of homes damaged by Hurricane Sandy. 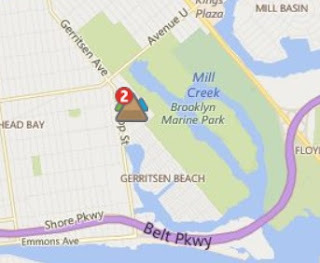 Similar to Habitat, this will be a team-build day, Saturday, November 14th, out in the Rockaways. 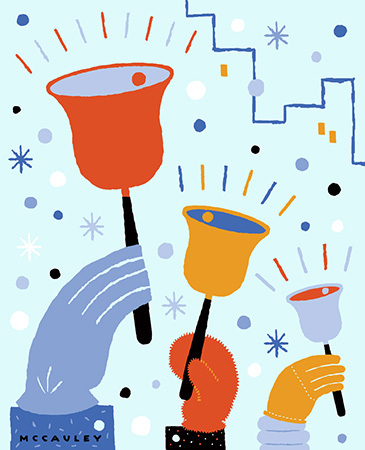 The Park Slope Civic Council can bring as many people as are interested in signing up; the more people they have, the more houses they can repair. If you have always wanted to volunteer with actual physical work to see something change for the better, this is an excellent and rewarding way to do something to help in NYC. Get info and sign up here. After signing up, please e-mail gilly.youner@parkslopeciviccouncil.org to confirm so they can tally transport as needed. Photo by Malcolm Pinckney, NYC Parks Dept. 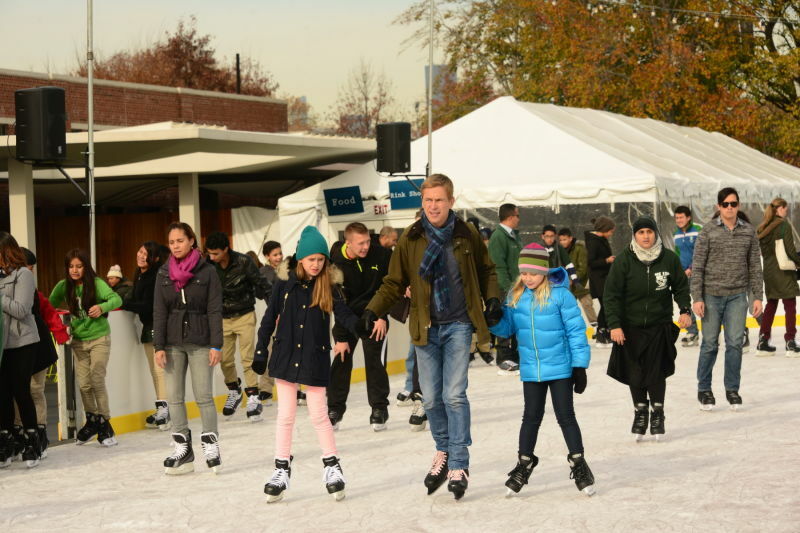 NYC Parks announced that a Request for Expressions of Interest (“RFEI”) has been issued for the operation of an ice skating rink and/or for winter activities at McCarren Park Pool. The park's "recently renovated pool area has the potential to serve as a true year-round destination and NYC Parks is seeking ideas for programming, amenities and events that will enhance the site during the winter months, while improving the quality of life for the surrounding community,”said said NYC Parks Commissioner Mitchell J. Silver. Parks: Ideas for an ice skating rink may include varied layouts and sizes, be open or enclosed, include provisions for general skating, figure skating, ice hockey, skate rentals, and/or a pro shop. Ideas for additional concepts for the site include holiday markets, craft fairs, food fairs, concert/film/theater/dance series, restaurants/cafés/snack bars, public art installations, and/or Christmas tree sales. Brooklyn BP Eric Adams and the Visiting Nurse Service are offering free flu shots to under-insured and uninsured individuals on Friday, Nov. 6 and Tuesday, Nov. 19, 11 a.m. to 2 p.m. at Borough Hall. Note: appointments are necessary. Call 718-802-4042. Democrat Pam Harris enjoyed a "bigger than expected victory" in the race to succeed former Assemblymember Alec Brook-Krasny, the Brooklyn Eagle reports. It had been expected to be a close race. But instead, Harris easily defeated Republican Lucretia Regina-Potter, 63 percent to 37 percent. The 46th AD includes parts of Bay Ridge, Dyker Heights and Coney Island. Harris is the only African-American to represent a majority white district in New York City, the Observer says. In another Brooklyn race, Democratic Assemblymember Roxanne Persaud won a landslide victory in the special election in the 19th state Senate District (Canarsie-Crown Heights-East Flatbush). Persaud will take the seat formerly held by Democrat John Sampson, convicted. 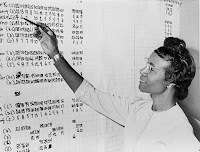 It's one of the least talked-about NYC elections we can remember. Depending on where you live, you may be voting on Tuesday for District Attorney, judicial positions, and/or in special elections for State Assembly or Senate. Thank goodness, the NYC Campaign Finance Board will tell you who your candidates are if you type in your address. In Bay Ridge, for example, Pamela Harris (Dem) is running against Lucretia Regina-Potter (Rep) for Assembly. In Downtown Brooklyn and Brooklyn Heights, you'll be voting for judges. The Court System has put together a voters guide by county to help you decide. UPDATE: Here's how it turned out. 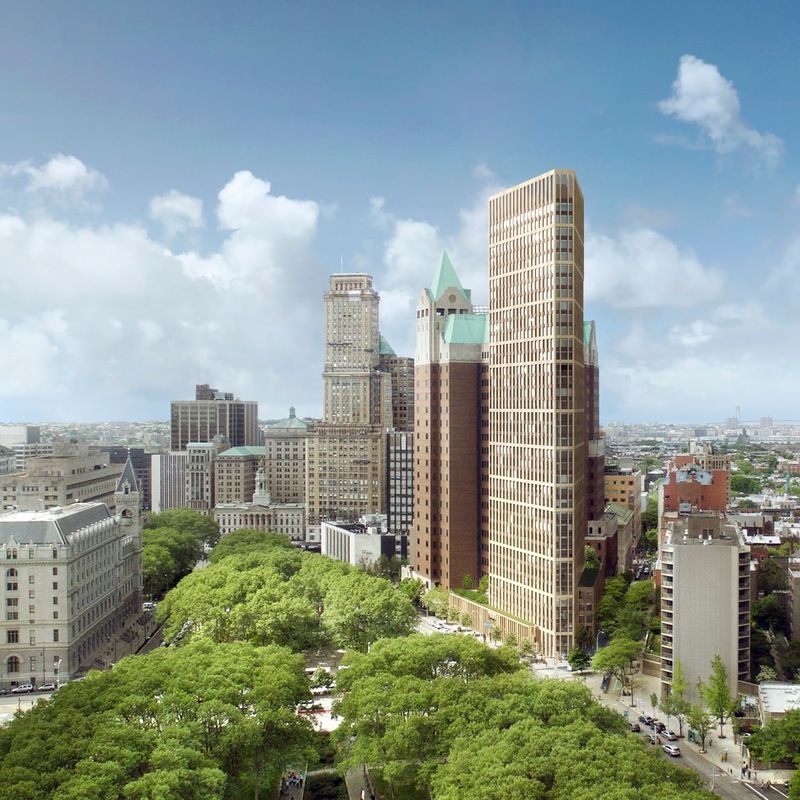 The plan to knock down the 2-story Brooklyn Heights Library and replace it with a 36-story residential tower took another step closer to reality on Monday when the City Planning Commission approved it unanimously, the Brooklyn Eagle reports. The ULURP process moves next to the City Council, where a hearing must be held within 50 days. 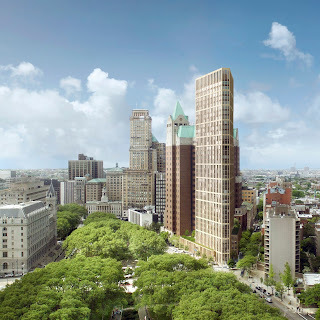 While the plan was endorsed by the Brooklyn Heights Association, it has received vocal and passionate opposition from hundreds of residents who objected on a number of grounds. 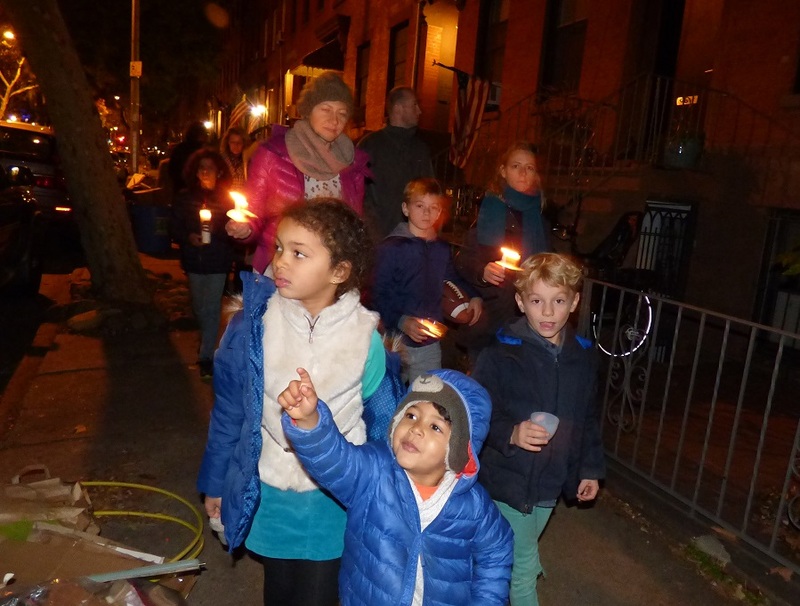 Amazing crowds of parents and kids thronged the streets for the Cobble Hill Halloween Parade, which kicks off trick-or-treating in the neighborhood. Neighbors sat on their decorated stoops gamely handing out pounds of goodies. Waiting for the next onslaught. Parents took advantage of the moment to act out their inner fantasies. These kids are probably in a sugar coma today. This thing slid up and down the fence on an invisible string. Joyfully filling up the pumpkin. 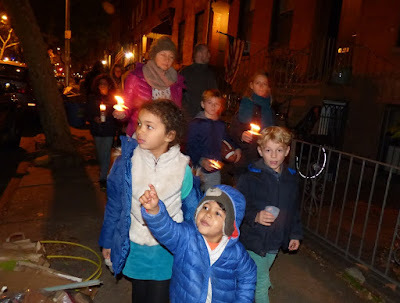 More photos of the Cobble Hill fun can be found here.